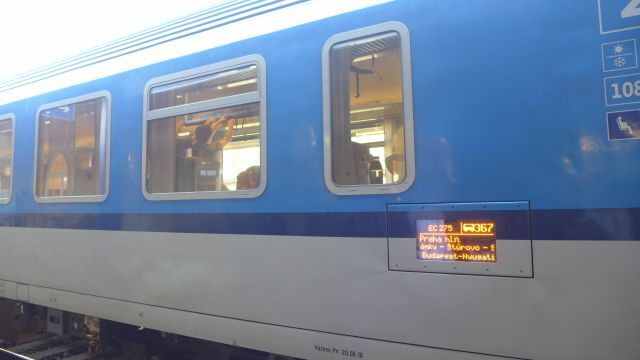 For the trip to Budapest, we travelled by train from Bratislava via the train EC 275 at 11.53am. 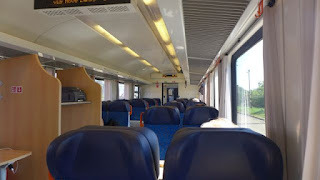 The journey took about 2.5 hours. 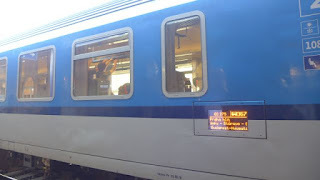 We bought the train ticket from the Bratislava train station the previous day for EUR 9 per person. 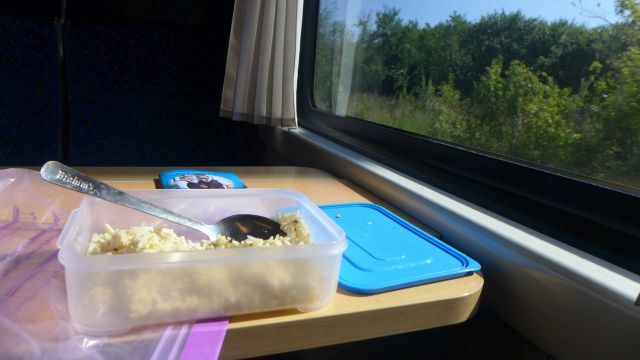 The train ride was comfortable, we had a seat by the window with tables. We arrived at Budapest train station Nyugati palyaudvar at 2.20pm. 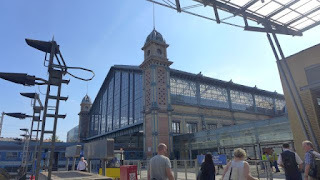 We then proceeded towards the Metro station to buy the 72 hour travel card (there is no 48 hour pass, only 24 and 72 hour passes) from the ticket kiosk which costs 4150 HUF. The travel card is valid on trams, buses, metro train and ferry. 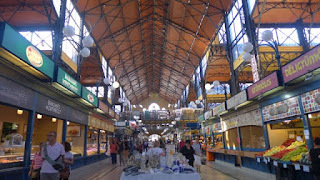 For more info on types of travel cards and prices, go here. 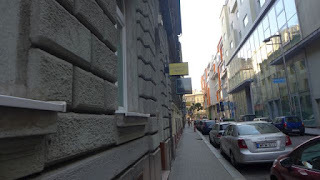 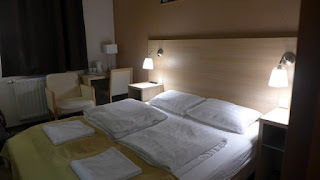 We used our credit card to buy the pass as we have not exchanged our currency yet to Hungarian Forint. Validation of the travel card is not required as the date and time of purchase would be printed out on the ticket and you could use it for the duration of your pass. Make sure to show the card if requested by the inspector. 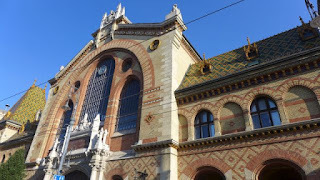 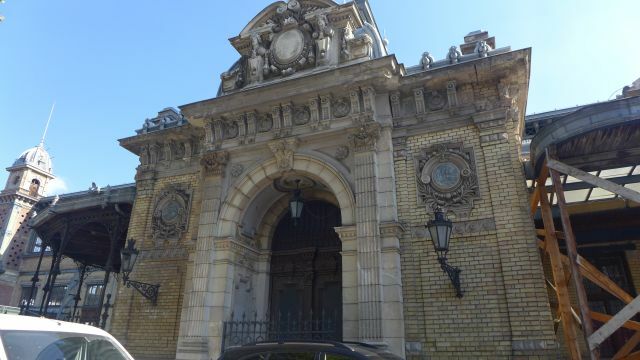 After resting a bit, we followed our host's recommendation to go to the Great Market Hall (Nagycsarnok) located at the Fovam ter tram or metro stop, built in 1897. 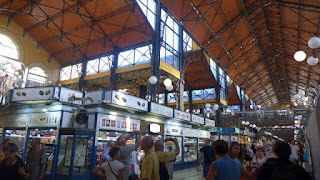 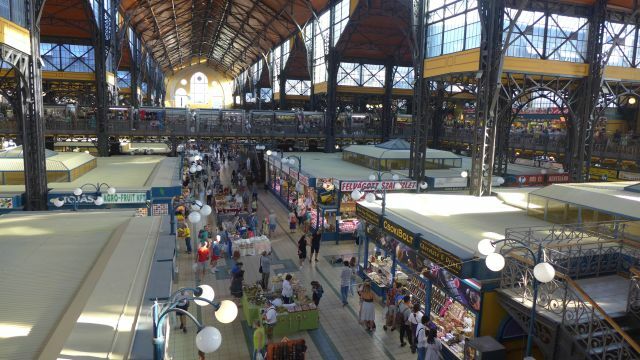 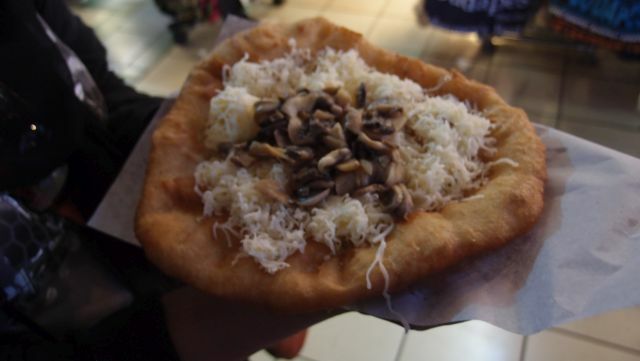 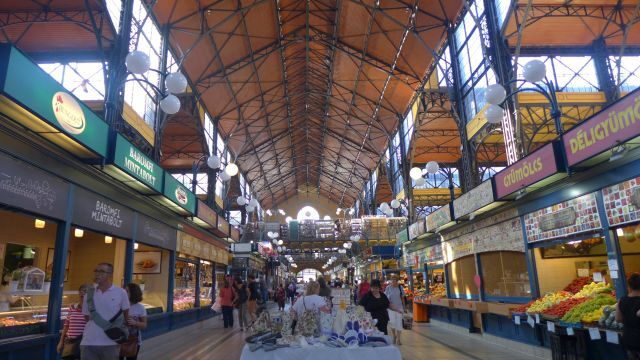 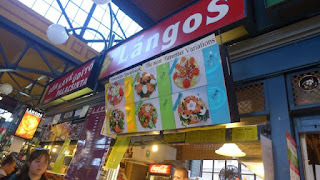 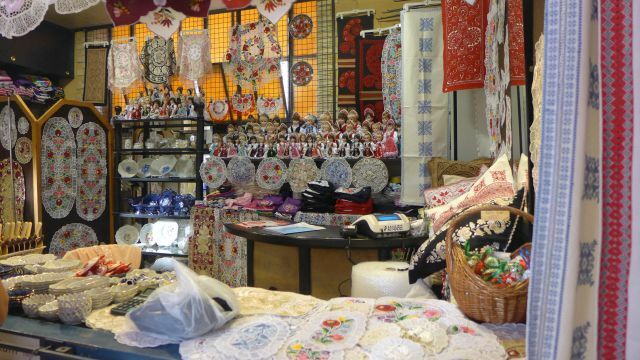 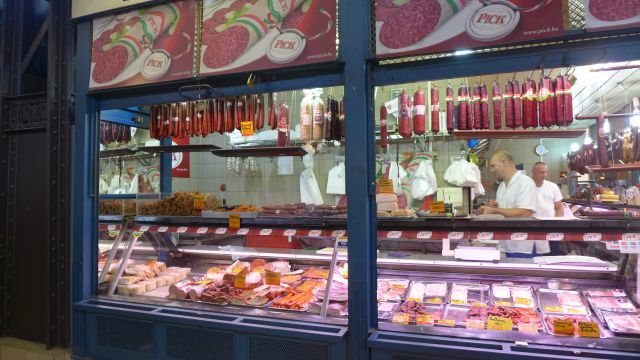 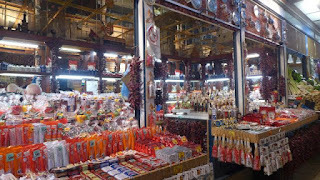 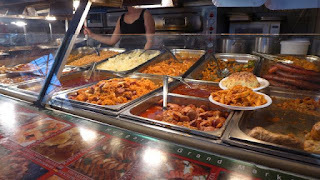 There are stalls selling fruits, vegetables, cheese, salami and ham, and Hungarian paprika on the ground floor; souvenirs, Hungarian food and snacks like Langos (similar to cakoi/youtiao/churros, but is flat) on the second floor. 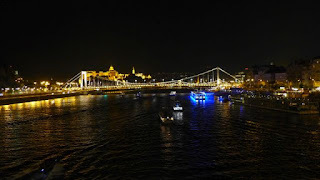 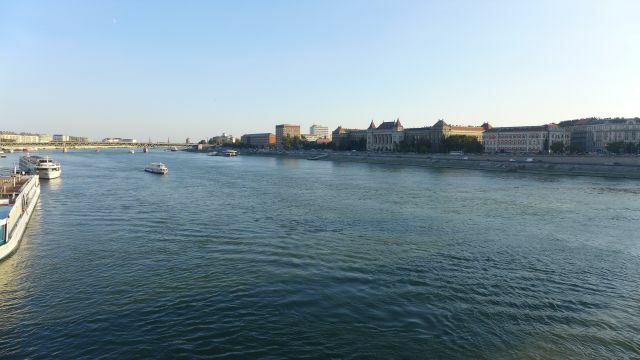 Not far from the Great Market Hall is the Danube river, which we crossed by walking the Liberty bridge (or Szabadság híd) from the Pest side towards the Buda side. 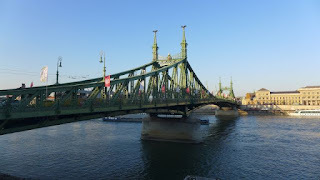 The Liberty bridge was built in 1896 but was damaged heavily during World War II. 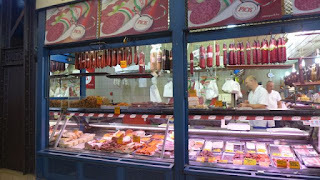 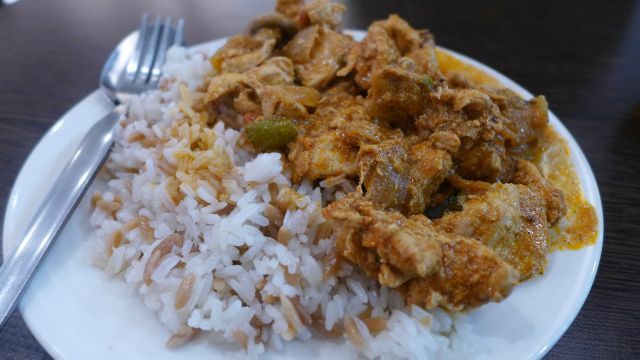 Feeling hungry now, we made our way back to Pest, taking tram 49 to Kalvin ter, as we saw a halal cafe- Istanbul kebab there. We shared a dish of chicken with rice as the portion was big. 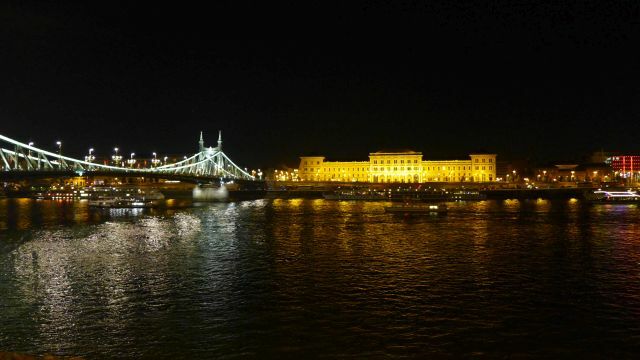 We ventured out again to the Danube to get pictures of the city by the river at night, then called it a day.